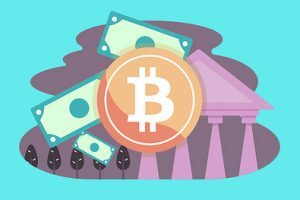 In this latest entry in our ongoing series on gambling technology, we provide some smart tips for playing online casinos. The online gambling industry is forecast to be worth $59.79m by the time 2020 rolls around and so it’s no surprise that more and more people are turning to the internet in order to play their favorite online games. As a result of this, there are various tips and tricks popping up online which are designed to help you hold your own when it comes to participating in online casino games. Sifting through all of this advice can be tough, especially when you’re relatively new to the realm of online gaming but fear not, we’ve compiled a succinct list of the five most useful tips and tricks to keep in mind before entering the world of online casino. With the abundance of different options out there, it makes sense that you shop around first before deciding which is the best online casino for you. While most sites offer the same versions of standard games such as Texas hold’em and blackjack, many also have themed games which are exclusive to various sites. 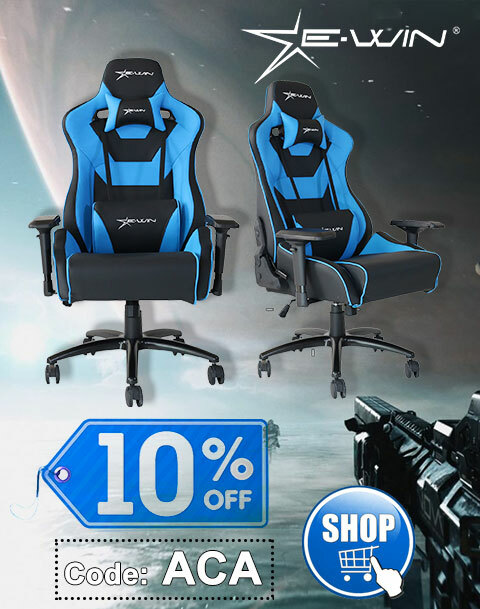 Of course, it’s all about preference at this point and so it really depends what kind of gamer you are and what you’re looking to get out of your online experience. It’s important to note that bonuses vary from site to site and some are far more appealing than others. For example, some casinos only allow you to withdraw your bonus once you’ve met the wagering requirement, while others have absolutely no requirement and the money that you’ve won from that bonus is yours and is available for you to immediately withdraw. Thankfully, you can find online casinos through various review sites, which have already done the legwork for you and have weighed up what’s hot and what’s not. 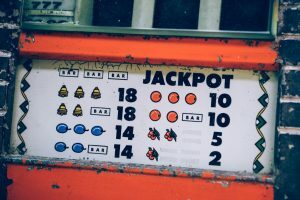 Newcomers to online casino tend to be drawn to the word jackpot while neglecting to learn about the two main types, progressive and local jackpots. Local jackpots consist of money generated by players who are playing that particular slot game, whereas progressive jackpots pools player’s money together from various participating casinos. In a nutshell, this means that progressive jackpots are far more lucrative than local jackpots but are much harder to land and so it all depends how much you’re willing to risk and how much you’re hoping to win. Everyone loves free stuff and companies are using this more and more in order to build brand loyalty with their customers. If you fancy gaining some valuable experience without having to stake any real money, there are a number of sites out there where you can improve your slots strategy for free. What’s more, this will give you the perfect opportunity to learn more about in game features such as multipliers and wilds, as well as different paylines – ultimately, it’s worth finding out if online casino really is for you before you spend your hard earned cash and this is a great way to find out. For those who prefer to play online slots, it’s also possible to find handy no deposit, free spin bonuses which can give you that extra boost your game needs. This is arguably the most important tip of all. While there’s certainly a great deal of luck associated with beating online casinos, you can significantly improve your chances of success by using your head and keeping your wits about you. 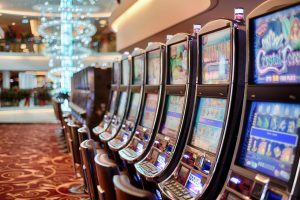 Loose slots, i.e., slots that appear to pay out more often than others, do exist online and checking out each machine’s return rate can help you decide whether you should try a different game or not. In terms of online casino games, keep in mind that every spin and every card dealt is determined by chance and if you’re not getting the run of luck you require, it’s best to call it a day as opposed to remain stubborn and risk losing more money. Even the best players have bad runs and bad games and being of the mindset that this luck will even itself out can be dangerous and detrimental to your game – remember, no-one is entitled to a good hand and every event is designed to be completely random. Bet smart and you too might feel like this. Ultimately, the only way that you can improve your online casino proficiency is by playing more often. However, it’s usually a good idea to identify the types of games that you feel most comfortable playing and then build from there as opposed to having your fingers in a number of casino flavored pies. Start out with small wagers, work your way up and then before you know it, you’ll be the king of online casino. Most importantly, remember to have fun – that’s what online casino is all about. Why are Online Slots Gaining in Popularity?